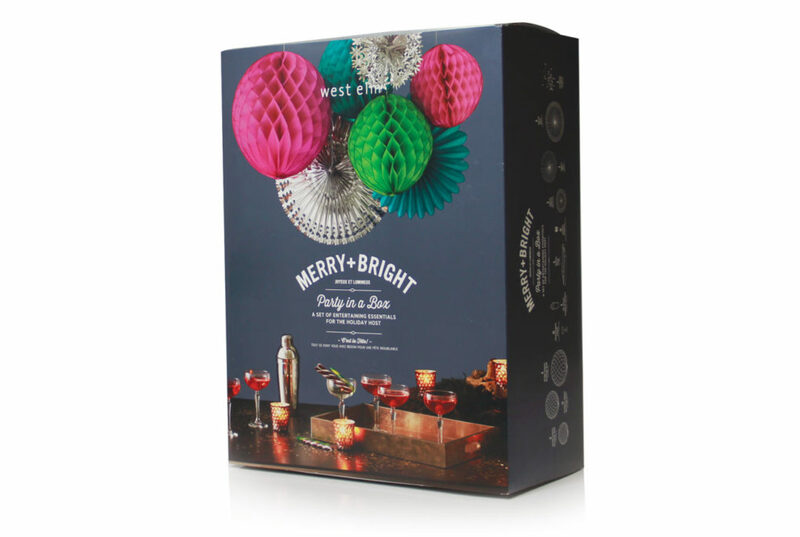 West Elm’s broad collection of delicate party accessories and decorations, are meant to be unboxed, enjoyed, and stored in its original product packaging. 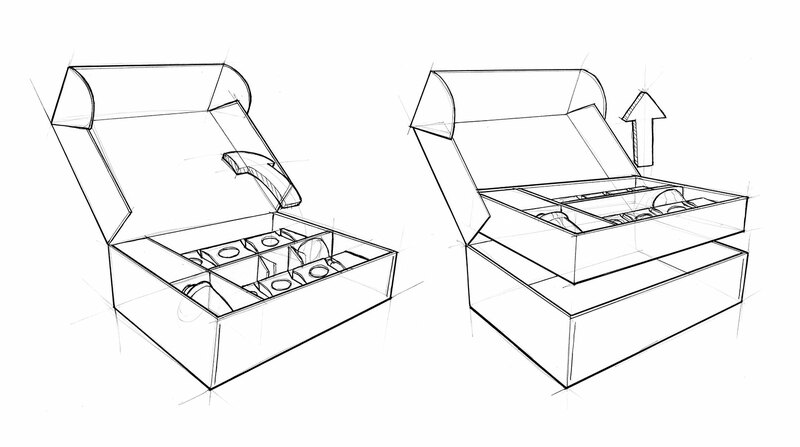 The goal of industrial-design-based product packaging, begins and ends with a rich and meaningful user-experience. 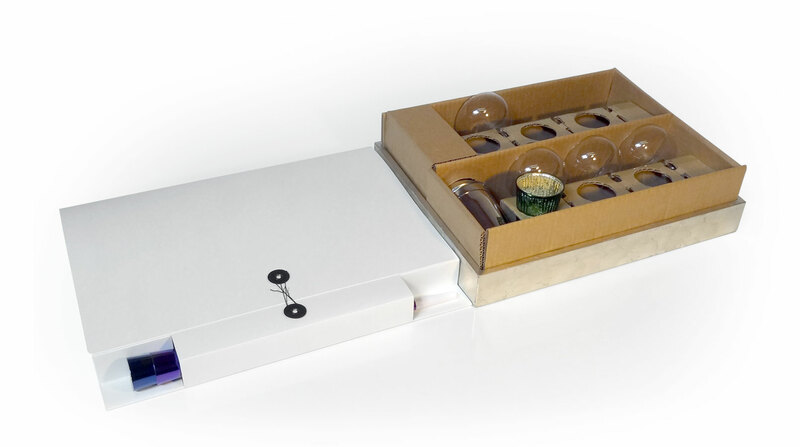 By simplifying the unboxing and establishing a shelf presence, we focused the structural design to deliver an intuitive and layered unveiling process. 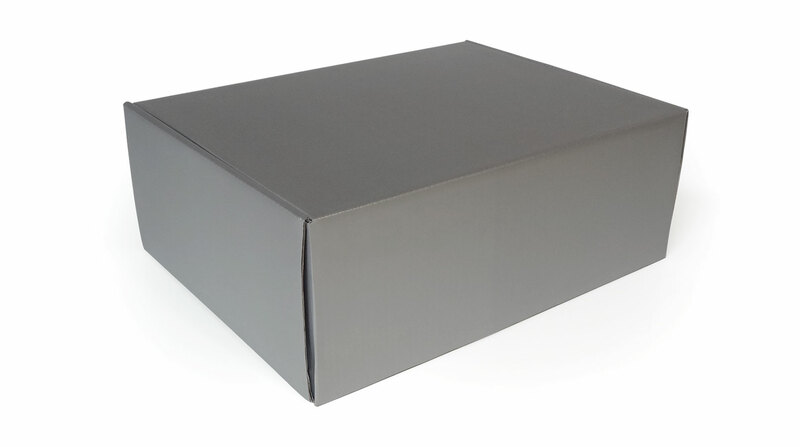 With rounds of rapid prototyping and user testing, structural packaging design evolved to both protect and utilize the products themselves for support, without the need for glues. 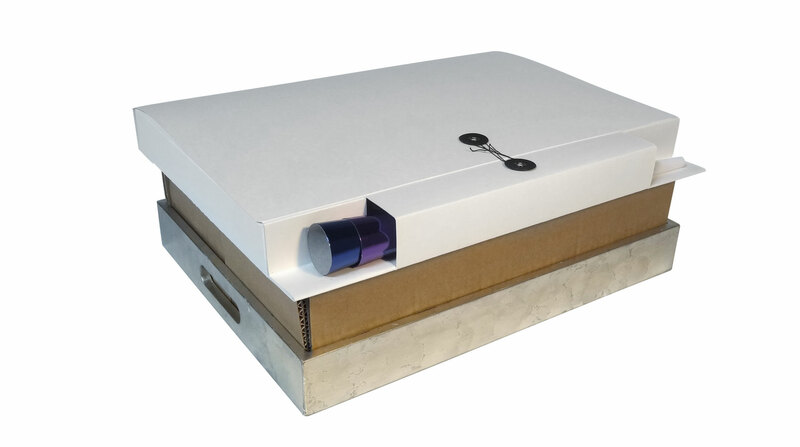 An interchangeable outer sleeve was developed to gain economies of scale on the complex packaging structures, and simplify updating the box exterior as needed. With structural design‚ material selection‚ and an intuitive unveiling process in place‚ the West Elm team supplied visual design and we were ready to party in our box.